for VBSR's 27th Annual Spring Conference! Throughout the day, you will engage in several workshops (we've got 15 on the slate!) designed to help CSR-minded professionals be more efficient, educated, and in-tune with their organizations. In addition, attendees will enjoy a localvore menu (Underwritten by Vermont Creamery), 40+ exhibitors, a Vermont-themed Cocktail Reception and networking opportunities with more than 300 forward-thinking business professionals. This year, we are thrilled to welcome Jason Haber as our Keynote Speaker. Haber is a serial and social entrepreneur. His extensive career has intersected the worlds of business, politics, academia and technology. In 2016, he authored The Business of Good, a widely praised book on social entrepreneurship. Recently voted the Best Business Networking Event in Vermont, you won't want to miss this great day of networking and education! VBSR members can take advantage of an early bird rate and join us for $150 (offer good until May 5th). The cost is $200 for non-members and $45 for full-time students and Legislators. 1) Nursing mothers welcome! If you would like a private and sanitary location for pumping or nursing, The Davis Center has a special room located on the 1st floor. There's an information station on the first floor and they'll be able to provide you with a key and any information you need. Please note, you are in no way obligated to use this space; we are comfortable with whatever you're comfortable with! 2) As part of our continued efforts to Go Green with our conference (going paperless, recycling name tags, offering carpooling options, sourcing local food, hosting at a LEED certified location, etc. ), you may notice a limited amount cups around the venue this year. Please consider bringing a reusable container! 3) In the afternoon, we will feature a cash bar reception, don't forget to come prepared. 4) We'll be live tweeting again this year! Don't forget to live tweet your experience and include “#vbsrspring” so others can follow the conversation. 5) The two longest networking breaks during the day are at the beginning and end of the event… plan to arrive early, stay late, and bring plenty of business cards. You won't be sorry! Click here to download your parking pass (use "open in a new tab" to use this link)! Staying the night? Why not let a VBSR member put you up for the night? The Inn at Essex, Hotel Vermont, The Hilton Garden Inn, and The Inn at Shelburne Farms are supporters of the cause. Act now, as rooms fill up quick this time of year! Looking for a bite to eat while in town? 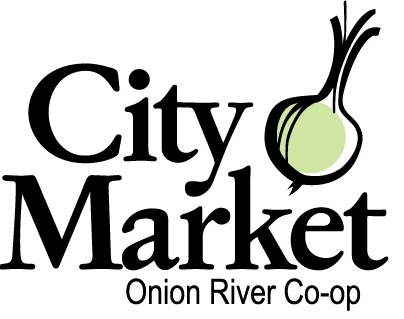 Why not support fellow VBSR members in Chittenden County? Whether coming from near or far, please consider the impact your travel to this event will make! CLICK HERE to start or join a carpool. With help from Change The Story VT, Vermont Energy Investment Corporation launched the Business Peer Exchange, bringing together a group of senior level professionals willing to examine their workplaces through a gender lens. In this session, companies will share their unexpected discoveries and the steps they’re taking and questions they’re asking to ensure they are attracting, retaining, and promoting women -- and making the most of ALL their talent. You may be surprised to find out how your organization's culture, language and materials are creating barriers internally and externally! Nope, that conversation you’ve been putting off won’t resolve itself. Learn and practice a straightforward, nine-step framework to successfully address difficult conversations and situations, and find that treating people with dignity doesn't mean shying away from clashing personalities and internal conflicts. At this workshop, you will warm up your interpersonal muscles before choosing your own true examples to practice in a safe environment. Practical, real-world solutions - no more avoiding. The civil rights established by the American Disabilities Act (ADA) require that people with disabilities have unobstructed access to “places of public accommodation,” including commercial, retail and service providers of all types. As the Web has grown to become an intrinsic part of life for people across the globe, advocates, plaintiffs, and the Department of Justice have affirmed that websites also serve as places of public accommodation and, as such, are protected by the ADA. The courts have largely agreed. Unfortunately, most websites fail to provide the necessary access to allow people with disabilities to effectively navigate and communicate with businesses. The tipping point has been crossed and a rapidly growing cottage industry has even sprung up to force conformity for profit! In this session, you’ll learn the legal background that has brought us here. More importantly, you’ll get pragmatic advice on how to make your website accessible to all visitors and avoid becoming a target. What’s the next iteration of socially responsible practices? Will they work in your business? And what happens when Baby Boomers work with the inherent sense of social responsibility that Millennials bring to, and demand from, their workplace? Join our provocative discussion with leaders from academia, entrepreneurial investment, government, and young professionals in the field of sustainability, and witness a modeled conversation between generations. You will learn ways to harness a stronger culture of accountability and social responsibility. The need for privacy and focus amidst a world that can't stop beeping, buzzing and interrupting dominates the news in debate about open versus more private workplaces. Where do you find the right workplace design strategies to fuel success and culture and build engagement? We will examine the contradictions with individual "I" work and collaborative "We" work in today’s offices. We’ll also share Vermont-based insights about CoWorking, ecosystem place design, generational thinking traps, "best places to work" mindsets, and how all of this supports our purposeful business community. Share your questions and stories about your work environments and culture-building efforts in this interactive workshop. Together we will develop workplace strategies you can bring back to your businesses while gaining invaluable lessons learned from best practices and shared successes. Business is changing. Fast. New ideas, new markets, and new ways to think about capitalism are eviscerating existing norms. Intractable problems are being transformed into newfound opportunities. From Benin to Burlington social entrepreneurs are seizing this moment. They are recalibrating business as a fulcrum for social change and economic growth – for all. Learn why this is happening and how you can be a part of The Business of Good. Jason Haber is a serial and social entrepreneur, with a career that intersects the worlds of business, politics, academia and technology. He is the author of The Business of Good, a widely praised book on social entrepreneurship; co-founder of Rubicon Property, a social entrepreneurial real estate firm; and has advised elected officials and candidates in DC and NY. A frequent commentator on CNBC and Fox Business News, Haber has also been covered in The New York Times and The Wall Street Journal. 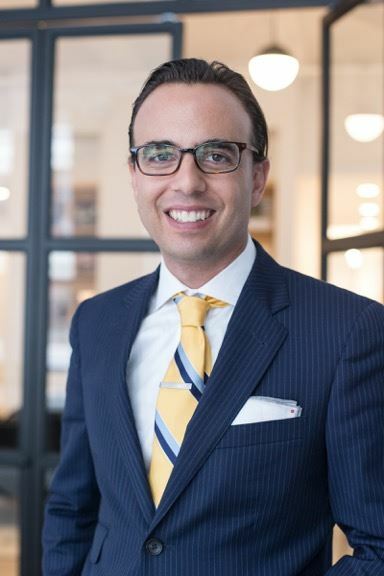 He holds a Political Communication BA from George Washington University and a Master’s from Columbia University’s School of International and Public Affairs. Join us for a gentle, business-attire-friendly chair yoga class. Decompress from the morning and learn some stress management tools you can incorporate back at the office. Business leaders have important contributions to make to the public policy conversations in Vermont’s State House. However, sometimes it can be challenging to feel adequately informed about the issues being deliberated, or to know at what point in the Legislative process expertise from businesses would have the most effect on the outcome. This interactive workshop will give business leaders the knowledge and tools necessary to influence state policy decisions. A strong, collective business voice can advance public policy that ensures the economic security of Vermont’s workforce and the prosperity of the state! Are you like me? Own a great little company with wonderful employees and products but small margins constrain your ability to be as SR as you’d wish to be? If so, let’s talk. Perhaps there are ways (traditional and SR) we can improve our margins which would allow us to do more for our employees, the planet and our own prosperity. There are many great ideas for low-cost benefits that make your business attractive to employees as well as easy/inexpensive ways to lessen your footprint. We’ll explore a number of those options but will also focus on attendee questions, ideas, lessons learned and solutions found. One thing we know about Vermont entrepreneurs is that we are a passionate, innovative bunch! Come away with a list of possibilities, including the advantages and disadvantages of each, as well as ideas on how to implement the ones you choose. Business leaders are required to plan for the future, but, depending on your style, you may be more comfortable with short- or long-term planning. If you have ever tried to create a 5-year plan as part of a group, you know that some people focus on “how we did it in the past,” some want to “create a compelling vision for the future” (with little attention to the past), others want to “brainstorm” all possibilities, and still others are ready to “jump into action” before the conversation is even finished. When all four styles collaborate, organizations create effective and lasting plans. In this interactive workshop, you will identify your preferred starting point and gain insights about how to access the power of each style. In a constantly shifting media landscape, how can brands and organizations keep up while keeping true to who they are? Turns out, it might be simpler than you think...and more affordable. This will be an interactive discussion and presentation on creating and leveraging authentic communication strategies in the modern media landscape. We'll explore the correct use of new digital media tools to further your goal of achieving real conversations with your audience. Our exploration will touch on using tools such as social listening, Virtual Reality (expect a demo! ), live-streaming video content, user-generated content, and other techniques. Please expect to be actively engaged with the presenters, and be ready for...well, anything really! How can you help your company “do well” while “doing good” for your neighbors, your employees, and the environment? And how can you do it on a tight budget? In this workshop, you’ll learn how National Life Group and VSECU have taken good to a whole new level. Coming off another record-breaking year, National Life attributes its ongoing success to its “servant leadership culture,” a culture prominently featured in CAUSE! (by best-selling authors Jackie and Kevin Freiberg). VSECU, driven by “empowering possibilities” for their employees, members, and communities, has earned membership in the Global Alliance for Banking on Values and Best Places to Work in Vermont in 2017. Learn how you can leverage the insights and experience of these two companies to help your own organization do well by doing good! In today’s “new world of work,” work and life have become fully integrated. At the same time, the face of business is changing, and there is a conscious effort to bring heart and humanity back into work. To pursue our most well and best days at work and in life (both individually and organizationally), we need to “pause” to understand our purpose and our goals. This workshop will introduce the newest trends for leaders and other individuals to create “well cultures” where all employees are passionate, energized and engaged both inside and outside of work. When we and our employees are at our best at work, we have the capacity to be at our best for our families, friends and communities. Do you need a mentor? Do you want to be a mentor? Or are you just curious about the topic? Mentoring plays a big role in successful companies and builds on some of Vermont's core strengths: generosity of spirit, work ethic, and connection. Given our state's population and demographics, the role of mentorship can also play a big role in Vermont's economic development future. Where can we discover opportunities to be or find a mentor and support both employee development and succession planning? In this interactive workshop, you’ll address the opportunities and challenges of these relationships (from intergenerational issues, to gender dynamics and perceptions, to succession planning) and explore how mentorship can benefit you, your company, and your state. The climate is changing and businesses are responding by finding ways to reduce their own fossil fuel footprints and embrace an energy independent future. A panel of business leaders will detail their companies' fuel use and the creative approaches they've taken to be more environmentally friendly and economically competitive. VBSR's public policy team will also provide a brief update on the 2017 session at the Vermont State House. Explore resources and tools for SR practices to help a company assess and improve financial systems, workplace quality, community involvement, and/or environmental stewardship. Together we’ll look at how to use these resources to help you reach your top five SR company goals. Sponsored by Mad River Distillers! Come and unwind while sharing your news and insights from the day with colleagues, peers and friends. Enjoy food and cash bar featuring VBSR members! Combining the European tradition of cheesemaking with Vermont’s terroir, Vermont Creamery’s line of fresh and aged goat cheeses, cultured butter, and crème fraîche have won over 100 national and international awards. In their 32nd year of business, Vermont Creamery supports a network of more than 20 family farms, promoting sustainable agriculture in the region. B Corp Certified in 2014, Vermont Creamery is the founder of Ayers Brook Goat Dairy, the country’s first demonstration goat dairy. Bia Diagnostics is a family business that was started 10 years ago by Thom Grace and his daughter Hannah Grace in the old north end neighborhood of Burlington, Vermont. Robin Grace joined them 5 years ago. In addition, we currently employ 7 full time and 2 part time people in our new Colchester, Vermont facility. Bia Diagnostics is an ISO 17025 certified food diagnostics facility that is GLP, GMP and AOAC compliant. Using state of the art technology combined with over 30 years of laboratory and food allergen testing experience, we are dedicated to providing the most reliable, highest quality results possible. All samples arriving by 12:00 noon will be run the same day and customers will receive Certificates of analysis for each sample by 6PM EST at no additional cost. Bia Diagnostics provides validation services for your specific matrix and consult regarding all results, including the possibility of further diagnostics. Bia Diagnostics is dedicated to the belief that we are only as good as the people that work with us and the community that supports us. To that end, we attempt to provide benefits, a comfortable wage and an environment that promotes success for the staff and reinvest 10% of our profits to support the needs of our community. In 1919, ninety-four enterprising dairy farmers formed a cooperative to purchase the local creamery. Now, nearly a century later, the combined commitment of CabotCreamery’s farmers and employees was honored when Cabot became a certified B Corp, a first for dairy cooperatives and cheesemakers. This very same dedication has earned Cabot acclaim for making “The World’s Best Cheddar” while offering a full line of award-winning cheeses, cultured products and butter. Cabot is owned by the dairy farm families of Agri-Mark, the Northeast’s premier dairy cooperative. For more information, come visit us at our historic creamery, or online at WWW.CABOTCHEESE.COOP. Every year, we help thousands of non-traditional students continue their education at the University of Vermont. Through collaborations with UVM’s various colleges and schools, we offer courses and programs to help you explore your options, whether you’re planning a career change, looking for personal enrichment or professional development, or preparing for an undergraduate or advanced degree. Learn about our programs and offerings, then call us and meet with an advisor who can help you map an educational plan based on your background and goals. You can also take part in one of our many community events on campus and around the state. Learn more. Marketing Partners helps mission-driven organizations unlock the power of communication to drive change. Do you want to disrupt the status quo, sustain our natural world, improve lives? We partner with our clients on how to create and use strategic change communications to dramatically advance your mission. Based in Burlington, Vermont, the UNIVERSITY OF VERMONT MEDICAL CENTER is both an integral part of the health care system in our region and also an integral part of the local economy. It is the largest hospital in Vermont, is part of a four-hospital health care network serving Vermont and northern New York, and through its alliance with the University of Vermont, it is one of only 130 academic medical centers in the country. In terms of its economic impact in the region, UVM Medical Center has more than 7,000 employs (including 5,300 women), making it the top private employer in the state of Vermont. UVM also is a nonprofit 501(c)(3) organization, and a crucial part of its mission is to offer health care to anyone, regardless of his/her ability to pay. Every year, UVM Medical Center provides millions of dollars in charity care to those in need. VERMONT BUSINESS MAGAZINE is a locally owned statewide business publication based in South Burlington, Vermont. Since 1972, VBM has published the latest and most accurate information and economic data available in our monthly magazine. 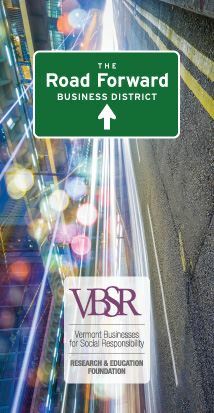 VBM also publishes an annual Book of Lists and Business Directory. Our website, VERMONTBIZ.COM is a must used resource for anyone in business and our daily and weekly enews products are the state’s most trusted source for daily business news. Many Businesses have found a great way to be in front of Vermont’s business community is by sponsoring one of our events throughout the year. Our survey indicated that the main reason for attending was for the networking opportunities, with 84% saying that they go to network. VTDigger.org's mission is to produce rigorous journalism that explains complex issues, holds government accountable to the public, and engages Vermonters in the democratic process. We are supported by readers contributions, corporate sponsorship, and foundation grants. For over four decades, the Vermont Economic Development Authority (VEDA) has partnered with Vermont banks and other lenders to provide low-interest loans to Vermont businesses and farms, both large and small. Since 1974, when the Authority was created by the Vermont General Assembly, VEDA has provided over $2.288 billion in financial assistance to Vermont businesses and farms. VEDA’s financing programs have contributed to the creation of tens of thousands of jobs, helping Vermont’s economy grow and prosper. Listener-supported Vermont Public Radio has been serving the people of Vermont and the surrounding region since 1977. 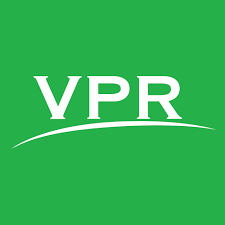 As Vermont's only statewide public radio network, VPR is a trusted and independent source for news, music, conversation, NPR programming, and much more. For the latest news, streaming, mobile apps, and a station list, visit VPR.NET. Thank you to our underwriters and special guests for helping us make this conference a success. Click here to download your VIP parking pass.